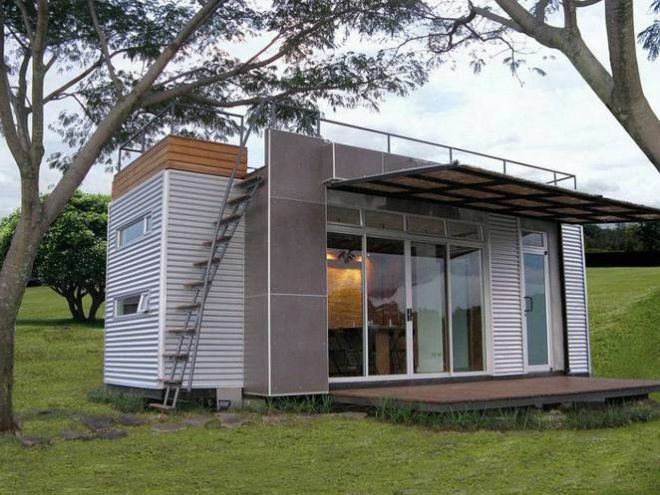 Costa Rican design company Cúbica has put a creative twist on the shipping container home idea. Their vacation home offers a minimal 160 square feet of living space, but the cabin sleeps up to four people and features all the comforts of home, including a full kitchen, bathroom, guest bedroom, and beautiful master bedroom. 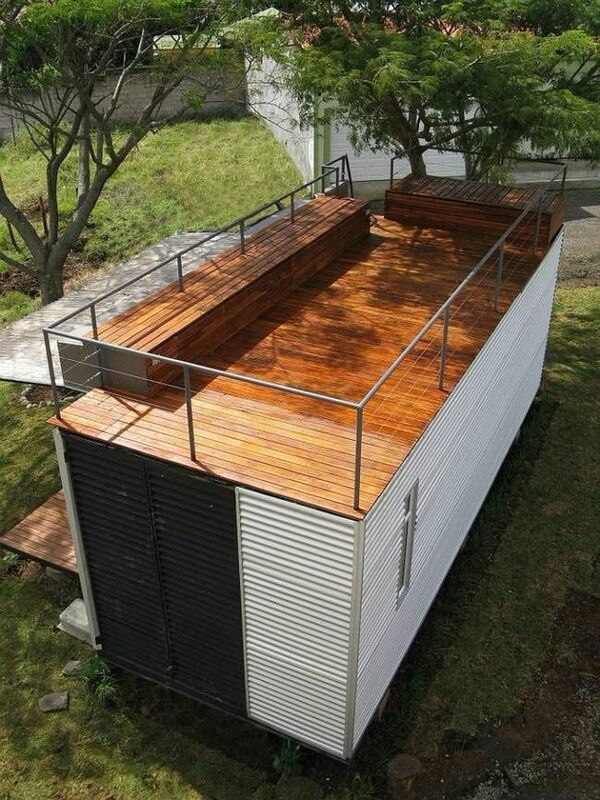 The real crown jewel of this charming container is what's on top; a built-in roof deck that's accessible by ladder. 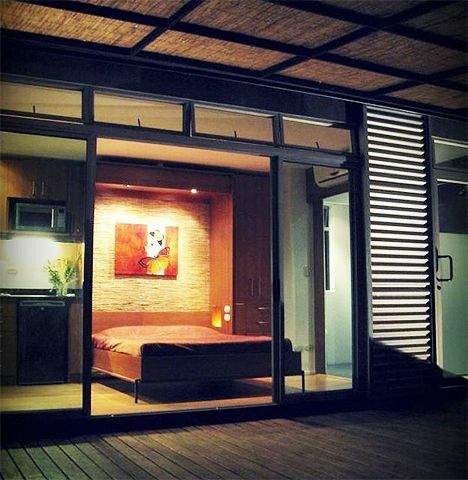 After hours, climb up to the wooden deck and enjoy the view, have some drinks with friends, and relish the night breeze. Getting away never felt so good! A ladder on the side of the home takes you up to the spacious rooftop deck for a stunning look at the scenery. Built-in benches provide plenty of seating, and protective railing creates a safe deck experience. Step inside this cozy retreat to discover a small but fully functional kitchen. With dark wooden cabinets and flooring, the cabin has a rustic feel. 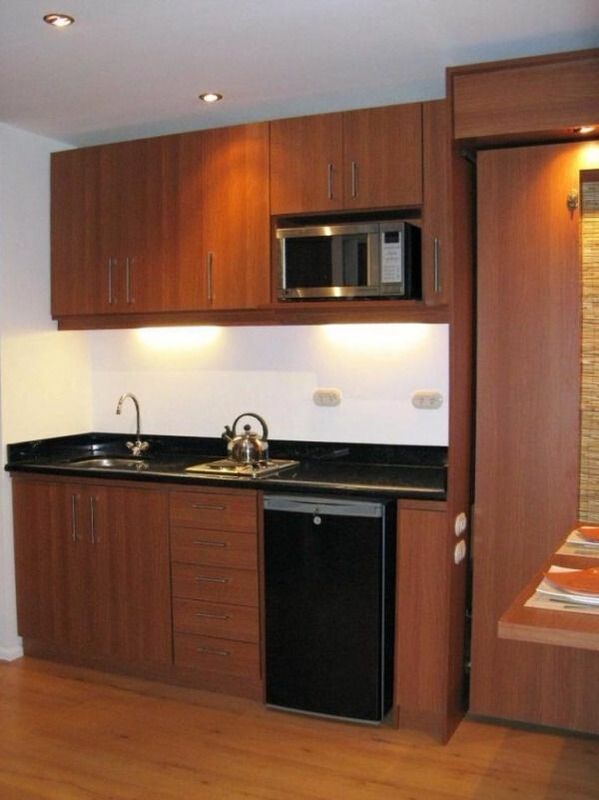 The kitchen contains a small range, dorm refrigerator, sink, and a microwave. Built-in cabinets and drawers offer plenty of storage space. 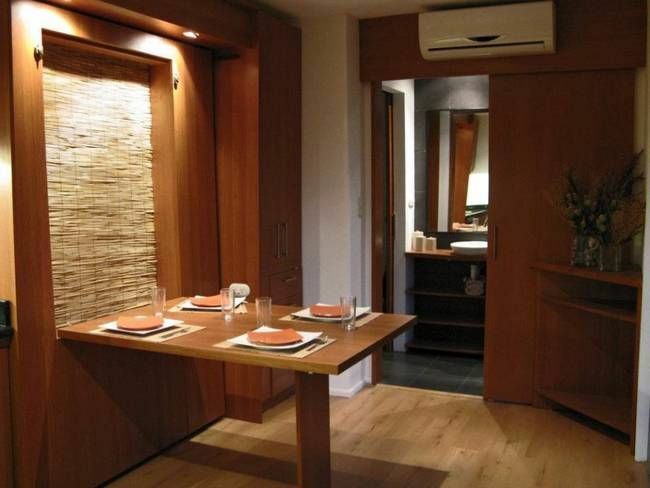 Next to the kitchen there is a space-saving pullout table, which accommodates up to four people easily. The table can pull double duty as a desk as well as an eating space, and folds up and out of the way to create more space when it's not in use. Fun fact: hidden behind the table is a fold-down Murphy bed that can sleep two people when needed! This tiny home is packed with surprises, and the designers cleverly used every inch of space available. 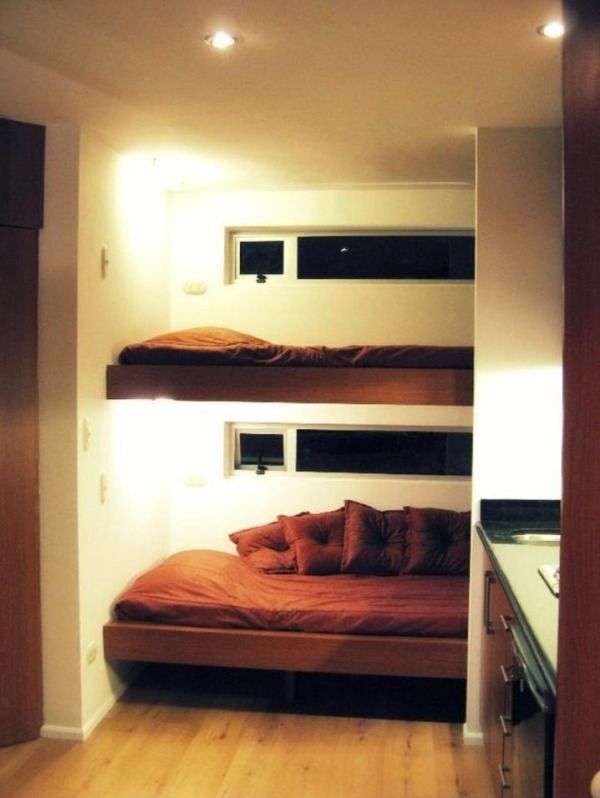 Adjacent to the kitchen is a small sleeping 'nook' which acts as guest sleeping space. The nook is outfitted with two built-in bunk beds, each with their own streamlined window. The nook is a cozy, inviting spot for guests to sleep, or a fun way for kids to crash while on vacation. 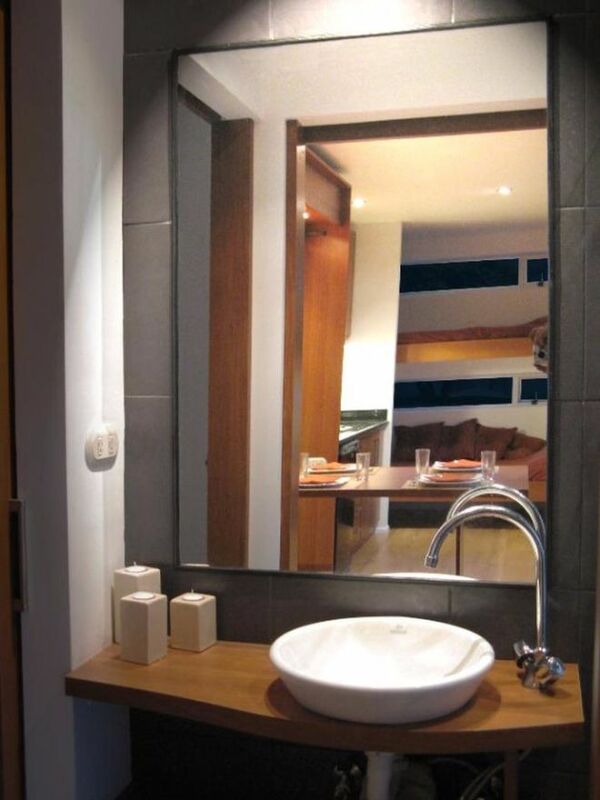 A small bathroom features a sink, toilet, and a shower you can access from outside the home, making it simple to jump into the shower if you're hot and sweaty from being outside, or headed in from swimming. Once you fold down the Murphy bed in order to form the 'master bedroom' space, you'll notice that the wall of the container opens up to reveal a glass sliding door that leads out onto the front deck of the home from the bedroom area, where there's a table and chairs for relaxing or dining al fresco. At night, when you go to sleep, or when you're away from home, simply pull down the home's awning to cover the glass and keep the home protected. A relaxed, intimate home located in beautiful Costa Rica, the Cubica vacation house is the perfect place to unwind, set among the lush trees and greenery of this stunning spot. 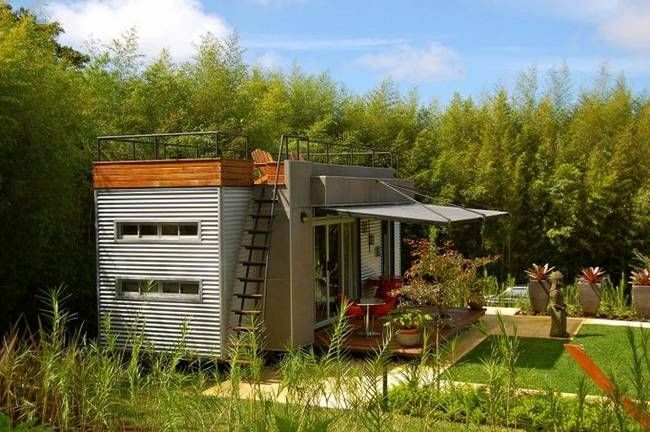 Who wouldn't want to spend a few days nestled among the trees in this tiny treasure of a home?